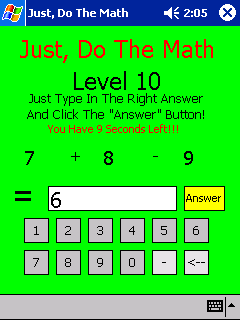 "Just, Do The Math" is a fun and challenging educational Math Game! You answer `simple` math problems in a given amount of time. There are different questions in every game! For all ages.